When someone we feel very close to passes away it is often very hard to accept, no matter how well we are prepared. 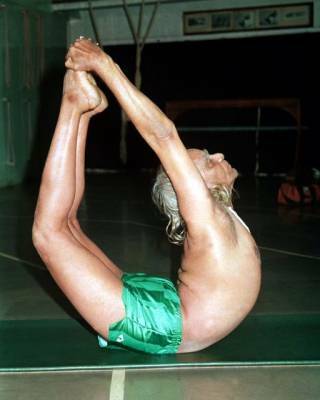 When Guruji* left his body at the age of 95 I think all in the Iyengar community were in shock. We had hoped and expected that he would live on a few more years and still impart more wisdom for us to absorb and ponder on. We had, almost unwittingly, elevated him to an almost godlike status, but what we loved most about Guruji were his real human qualities. Guruji totally disdained the idea of being thought of anything but an ordinary man. 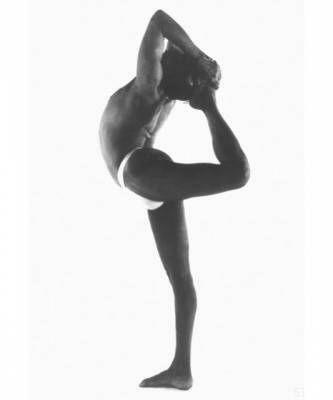 He was that, but one with an extraordinary insight into our human nature and a thorough understanding of the body and mind gained through his dedicated and uninterrupted daily practice of yoga. 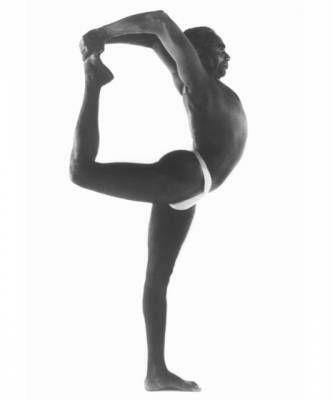 I was first introduced to Iyengar yoga in the early 1980s. The classes were in a small country town. I had recently had a serious back injury after a four-meter fall. I started yoga after my chiropractor advised me, somewhat dramatically, that I would be a cripple unless I took up yoga. I got immediate relief from the yoga practice, but it was the wonderful feeling of connecting the mind and body that impressed me so profoundly. I knew instantly that I would practice yoga for the rest of my life. Just before embarking on a world trip, my teacher advised me: “Go to Pune [India], and study with the old man before he dies”. While Mr Iyengar lived on for another 30 years, this was excellent advice because I found every moment I spend working with Guruji very precious. One of my most memorable times with Guruji was at the 80th birthday celebrations. The event was held outside of Pune at the Ambrosia resort hotel. Some 700 students, mostly teachers, attended the event. We were bused back and forwards from Pune daily. The atmosphere on the bus was lively but respectful with the knowledge that we were about to embark on an amazing journey into the self with Guru’s guidance. On the very first day 80 trees were planted in honour of Guruji’s 80 years. The classes were conducted in a very large marque. We were organised into groups according to nationality. The groups were rotated daily so we all got a chance to be close up front. I remember a time when the Australian group was at the front, we held Utthittha Parsvakonasna (extended lateral angle pose) for what seemed an impossible length of time (eight minutes on one side, if I remember correctly). Half way through, I was struggling, thinking I was at my limit. Then I found a new reserve: remaining totally focused, head to foot, was the only way I could continue. Guruji’s succinct instruction together with the fact that I was close to the front also helped keep me focused. Another memorable moment was while we holding Urdhva Hastasana for an extended period of time. Guruji was walking around the room with a small microphone, which made it hard to know where he was. Suddenly, I had the feeling he was standing behind me, and as I thought “Guruji’s standing behind me”I received a slap on my shoulders with the words “What are you doing?”He knew I had lost focus! After the asana session and some lunch, we gathered in the afternoons to listen to talks. Guruji’s son, Prashant, talked about Iyengar yoga having three defining characteristics: technicalities, sequencing and timings. The technicalities help us to penetrate precisely into the asanas and get us into the “correct”alignment, both reducing our effort and protecting our body from undue force.The sequencing has two functions: it is a way of moving through asanas so that more difficult poses are understood through the more basic ones, and the sequence also has a particular effect on the mind (for example, a sequence of forwards bend has a very calming effect). Timing is the third characteristic. When we have the correct techniques and the most appropriate sequences, we can extend the time we hold poses, and our practice begins to have a big effect on both our body and mind. Returning regularly every couple years for a month or two of yoga classes I was always moved, inspired and impressed with Guruji’s ever presence in the yoga room. I was there in July, last year, with over 100 students and teachers from all corners of the world, practicing after the early morning class. Guruji, at 95 years, was still doing his own practice to inspire us all. Of course, Guruji will be deeply missed by his many students around the world, but his teachings will live on through our practice and teaching together his writings and recordings. 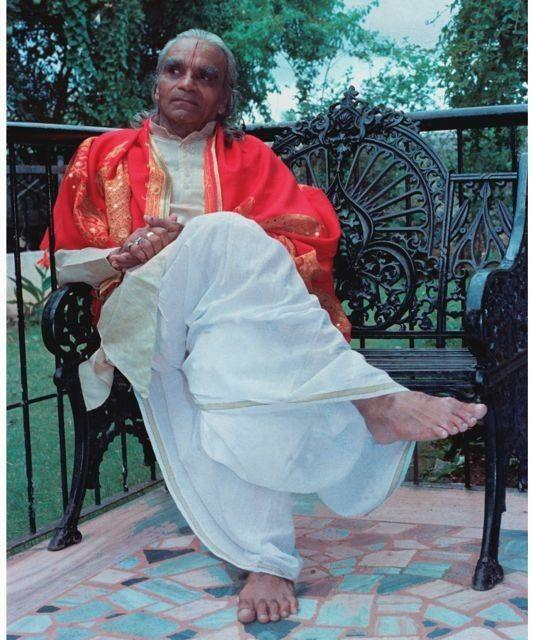 *Guruji is the name affectionately given to BKS Iyengar by his followers. A guru is a spiritual teacher, one who dispels ignorance with correct knowledge. Hi Frank﻿ I was at CHYS on the weekend and remembering the very first time is stepped in there for a class with you. I think it was a level 2 class! But I was young and fit (and sure... stupid!) and oh my I knew I had found something so special. I remember laying in savasana at the end with a huge grin on my face, feeling so much joy moving through my body. 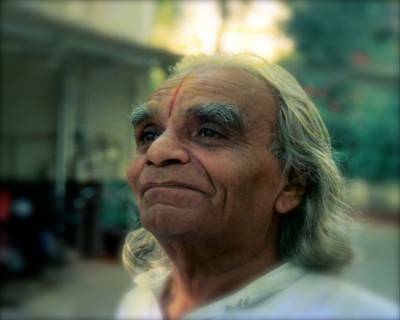 Nearly 20 years later, I am so grateful for you my first real teacher, and so grateful for your teacher, Guruji BKS Iyengar for teaching me to understand myself and my capacity through my body and my breath. Thinking of you a lot during this time of grieving for your beloved Guruji. Thanks, Frank for this personal and practical tribute.